As A-Level results are due out across England and Wales a week today, the British Army has found that, despite the majority of this years’ school leavers in Cardiff deciding to go to university (65%), almost two thirds (61%) would choose to skip university if they knew that they could secure the same job and salary straight out of school. With these findings in mind, school leavers may be interested to know that they could access some of the best leadership and management training in the world, have the opportunity to gain a degree debt free, and earn a graduate level salary of over £31,000 after training as a non-graduate officer – achievable in the year following their A–levels. More than half (59%) of recent school leavers in Cardiff believe that too many people go to university because it is seen as the ‘done’ thing and that university will become less popular over coming years, in favour of heading straight into the workplace, taking up an apprenticeship or taking a gap year (43%). General Paul Nanson, Commandant of the Royal Military Academy Sandhurst, joined the British Army as a non-graduate and has risen through the ranks to his current position. “The Army offers equal opportunity to all. It’s about who you are as much as it is what you know. 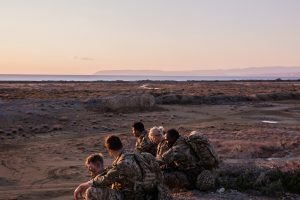 Joining as an Army Officer is therefore not only open to graduates; we are also looking for those who want an exciting alternative route to progress their education and skills. Lt Nathan Weaver, aged 23, who recently passed out from Sandhurst and will be joining the Royal Electrical and Mechanical Engineers, said: “After finishing my A Levels I wanted to get stuck into work straight away, rather than go to university as I was concerned about the considerable costs that this would involve. I therefore worked for a couple of companies for a few years, but always had it in my mind that I wanted to become an Officer in the British Army. “Having passed out from Sandhurst, the Army has now given me the opportunity to study mechanical engineering at university and fully pay for my three-year degree. Once graduated, I will join my regiment and study to become a chartered engineer, giving me qualifications that will help me in my Army life and which are fully transferable to civilian life. You receive an annual salary of £25,727 while training as an Officer Cadet at Royal Military Academy Sandhurst and receive an annual salary of £31,232 after training, plus pension.